WHO DOESN’T LIKE BAKED GOODS? Ho hoooo! Grand Palace Records is doing us all a favor this Spring by putting out the debut 7″ of Memphis’ Bake Sale. We haven’t heard the single “As Predicted” yet, but we feel pretty confident in saying that it’ll be killer. 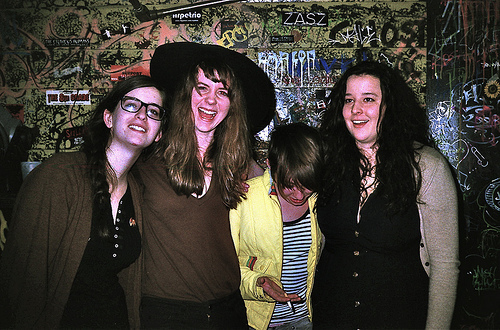 The girls have been doing their garage-pop thing for a little while now [and you can catch them this Saturday in Memphis at The Dairy House with Cheap Time and Heavy Cream] and we couldn’t be more stoked to finally get some of their tunes on wax. Word on the street is that they’re planning to do some touring this summer and we’re sure they’ll be making a stop in Nashville. At least for a 7″ release party, right? ?